Jeanne D’Arc of World Heroes is the newest DLC character for SNK Heroines: Tag Team Frenzy. The character will be made available on December 13 as a paid DLC character, NIS America and SNK announced. Jeanne D’Arc is knight of 15th century France. A bearer of a tremendous beauty. 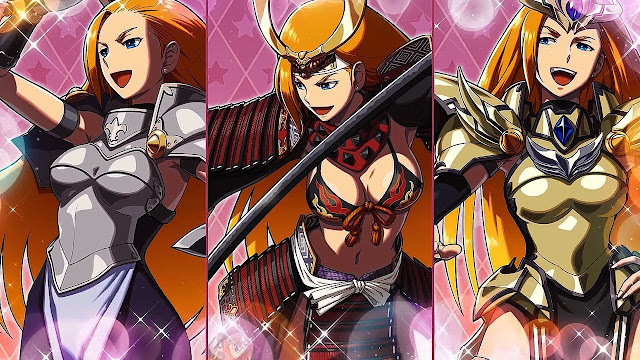 She joined the World Heroes tournament in search of a strong fighter to become her husband. Aware of her fighting prowess and own beauty, Jeanne won't back down from insulting her opponents if she judges them weak. However, she also desires to find a man suitable for her. Jeanne D’Arc uses a type of swordsmanship that is not based on French fencing. Her sword can also transform into a chain whip, extending its reach. SNK Heroines: Tag Team Frenzy is available now on PlayStation 4 and Nintendo Switch.